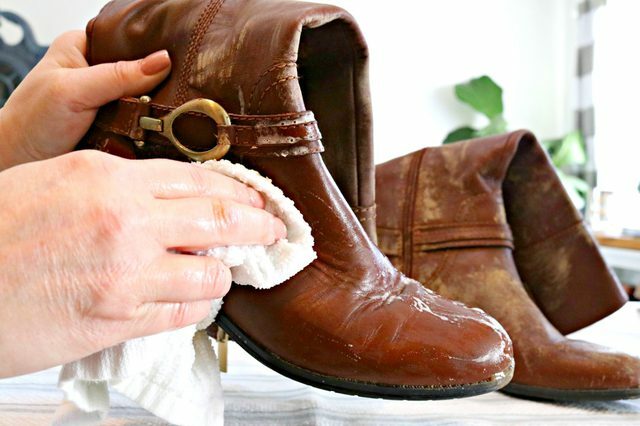 Leather boots and shoes can get worn looking quickly and cleaning them takes a little care. 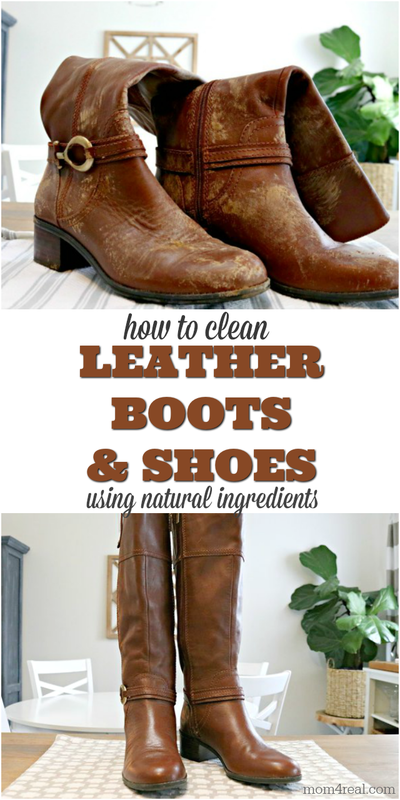 The good news is that with a little care you can clean leather boots and shoes naturally and safely. Fall is here, which means it’s time to break out all of my favorite leather boots, booties and shoes. I’m a little rough on shoes in general, so it’s important that I clean them often and per the usual with me, I like to keep my cleaning as natural as possible. 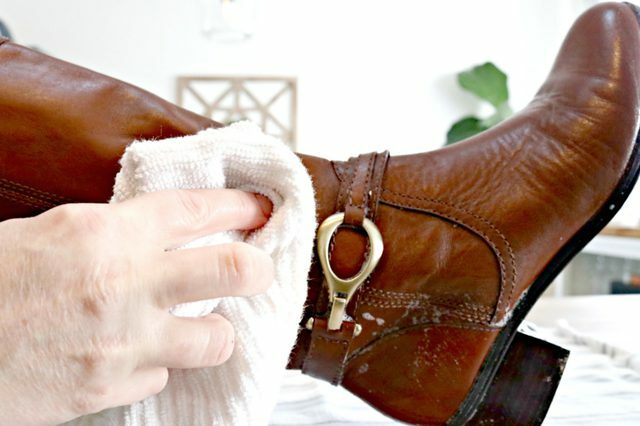 I’ve been using this easy method to clean and condition my leather boots and shoes naturally for the past couple of years, and they still look amazing! If you are looking for the easy way to Clean Ugg Boots or Sheepskin Boots, you can find that HERE! What do you clean leather boots with? I through together a quick video showing how I cleaned my boots so you can see just how well this method works! 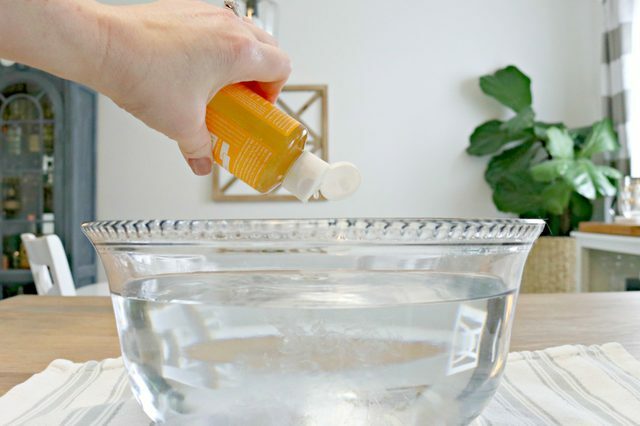 Step 1 – Add 2 tablespoons of Castile soap to a large bowl of warm water and mix together. Castile soap is vegetable based and gentle enough to clean leather. Step 2 – Dip one of the cloths into the cleaning solution and wring it out a bit so it isn’t soaking wet. Use it to wipe your boots or shoes clean, removing any stains, dirt, salt or debris. You can dip the cloth into the solution over and over again while cleaning the shoes. Step 3 – Use a clean, damp cloth to rinse any of the soap mixture off of the boots or shoes. 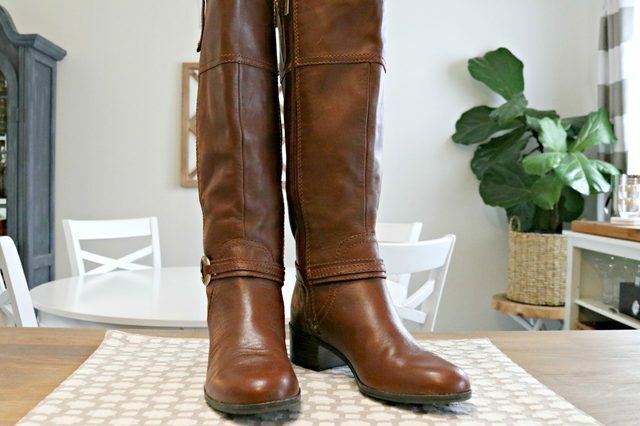 Step 4 – Allow the boots or shoes to dry overnight before conditioning them. You can insert pool noodles or rolled towels into boots to help them retain their shape when drying. 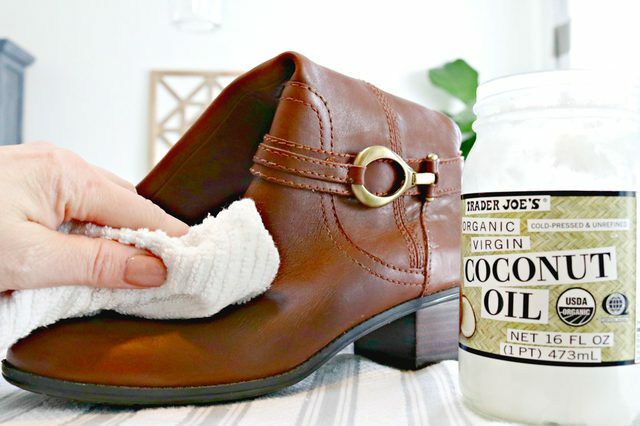 Step 5 – Dip a clean, dry cloth in some coconut oil and apply a thin, even coat to the entire boot or shoe in a circular motion. Let sit for 20 minutes, then use a clean cloth to wipe any excess coconut oil away and buff the shoes. 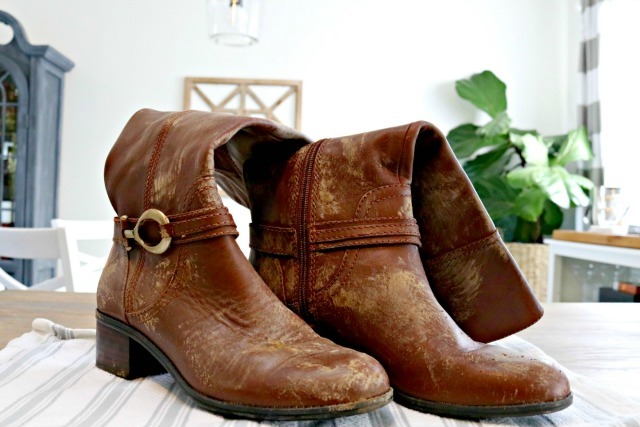 Your boots will look like new and be ready to wear! You can clean them as often as you need to. I like to condition mine with coconut oil monthly to help them stay hydrated and looking new! Be sure to pin this to your favorite Pinterest board below so you can reference it when needed! 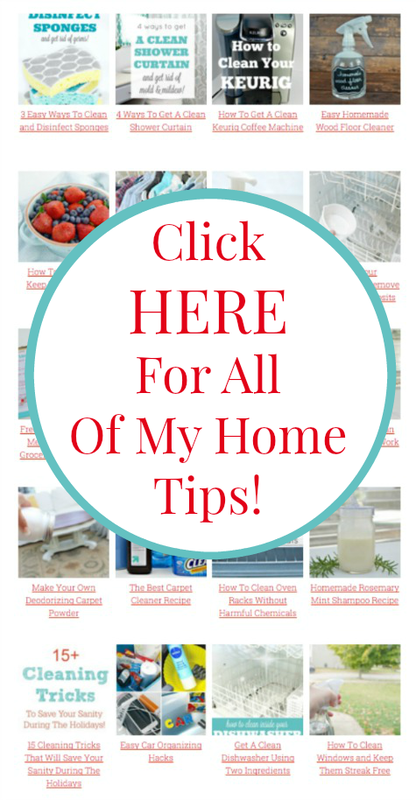 Be sure to check out all of my easy cleaning tips and trick HERE on my Cleaning Tips Page! Did your boots really look like that before and after?? Yes, ma’am! I included a video of the process if you’d like to check it out!